In recent years, Radiation was used widely to induce new species in both animals and plants as a new method, but it is rarely used to breed resource insects. In a new published paper written by author Zhong-he Zhang, 60Co-Y ray radiation were experimented to breed cochineal insect (Dactylopius coccus), which is a kind of insect to be used to produce naturally red pigments that many industries such as food, cosmetics and medicine need. In the paper, the author give us an experiment that how 60Co-Y ray radiation influence reproduction of cochineal insects. Five doses of ray radiation, 500 rad, 1000 rad, 3000 rad, 5000 rad, 8000rad, were experimented and 3 offspring generations were observed. 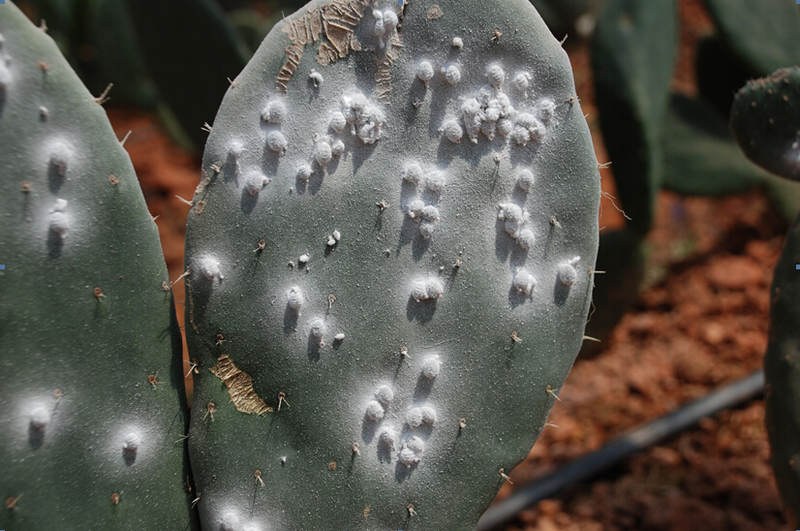 The results showed that high dose of 60Co-Y ray treatment can dramatically reduce the ability of cochineal to produce offspring, only small number of F1 generation female offspring can be produced and no male offspring when the ray radiation is above 3000 rad. Both female and male F1 offspring can be produced normally when the ray radiation is 500rad and 1000rad. In F2 and F3 generation, the insects radiated by 500rad and 1000rad can also produce female and male offspring normally. According to the observed datum, the female body volume and the number of brooding eggs in F3 generation were slightly higher than the control under both 500rad and 1000rad doses, maybe this prelude that low doses of ray radiation can induce new mutation of cochineal insect. 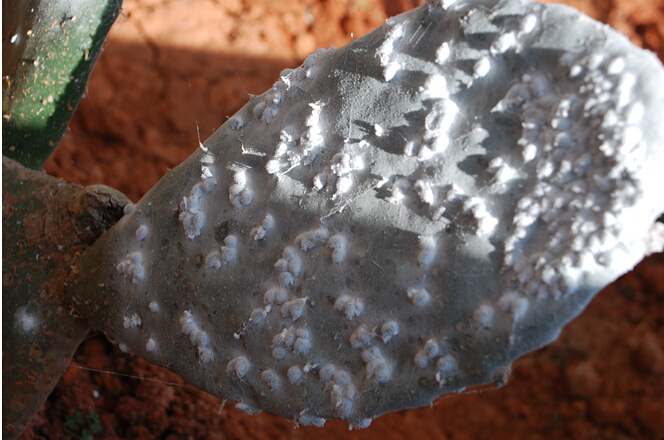 The author suggests that future studies will be directed to the radiation of cochineal at different instars and low doses of radiation. Dr Zhong-he Zhang, Research Institute of Resource Insects, Chinese Academy of Forestry,Kunming,Yunnan,China. A paper about the study appeared recently in Agriculture, Forestry and Fisheries.